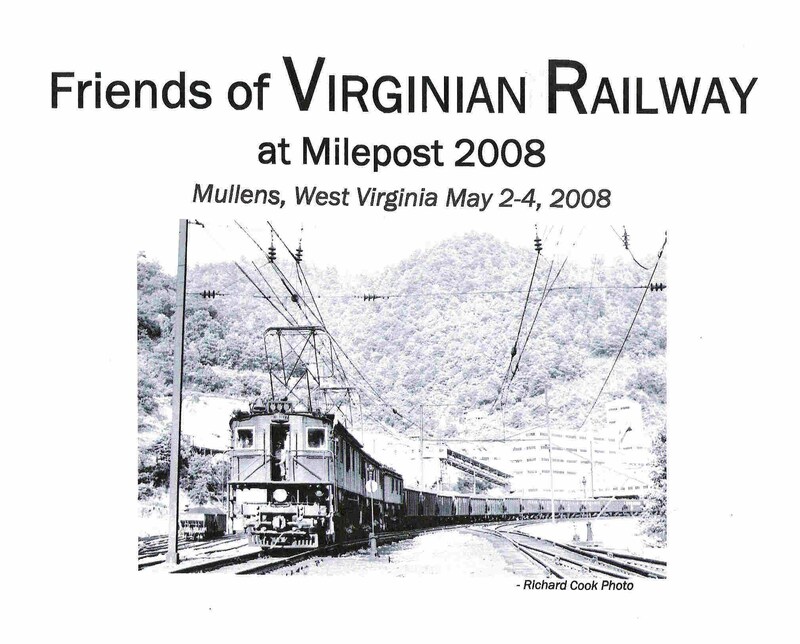 The Friends of the Virginian Railway at Milepost 2008 will be another outstanding opportunity to visit the line and learn more about its operation. Meeting at Twin Falls State Park, Mullens, West Virginia, we will experience the western end of the railroad's New River Division this year. Guided and self guided tours are offered, spanning from the New York Central and Chesapeake & Ohio connections on the north, to Princeton on the south. 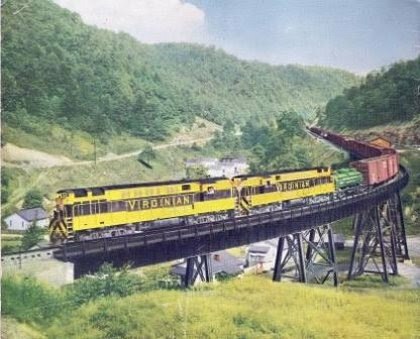 Programs Friday and Saturday nights will feature presentations on the Virginian operations in the past and Norfolk Southern operations in the present. These will be made by VGN historians Dr. Gerry Albers, Frank Bongiovanni, Greg Elam and Tom Marshall. * Gerry Albers' presentation will be “The Princeton-Deepwater Operations – Elmore West”. Gerry has done extensive research into the composition and operation of the Virginian’s Princeton-Deepwater District for the construction and operation of his model railroad, the “Deepwater District”. He has taken hundreds of contemporary photos during his many trips to the area and has collected some vintage shots as well. His program will describe VGN, N&W, and NS operations in this area and will include some pictures of his model work. * Frank Bongiovanni's program will be a "A Closer Look at Virginian's Lifeblood, Its Coal Cars." As we all know, the lifeblood of the Virginian was coal. Over the life of the railroad the Virginian's hoppers and gondolas came in a wide variety. With a lot of help from the real experts attending, Frank's going to give an overview of the various Virginian coal cars. Included will be the various rebuilds done over the years, and some modeling thoughts. * Greg Elam's program will be "Where the Tracks Run No More: Virginian's Flatland Railroad." Pictures from Victoria and the Norfolk Division from 1907 through 2007. * Tom Marshall will have two programs. The first will be "Saturday's Itinerary;'Extra 2008 West" which will also include DB and Deepwater in the overview of Saturday's trip the next day. He will also cover the VGN trains that ran over the NYC between DB and Dickinson and Charleston. Tom's second program will be "The Hill, Elmore to Clarks Gap." The title says it all! Some of the popular opportunities that will continue this year include: a picture contest and picture display with the choice of showing your own photographic skills and your collection of archival pictures; a flea market sales area for participants and a few vendors; and an area for the display of Virginian models and artifacts which you may wish to bring. The Silent Auction of Virginian related materials will be offered again due to its success at Milepost 2006 and 2007. 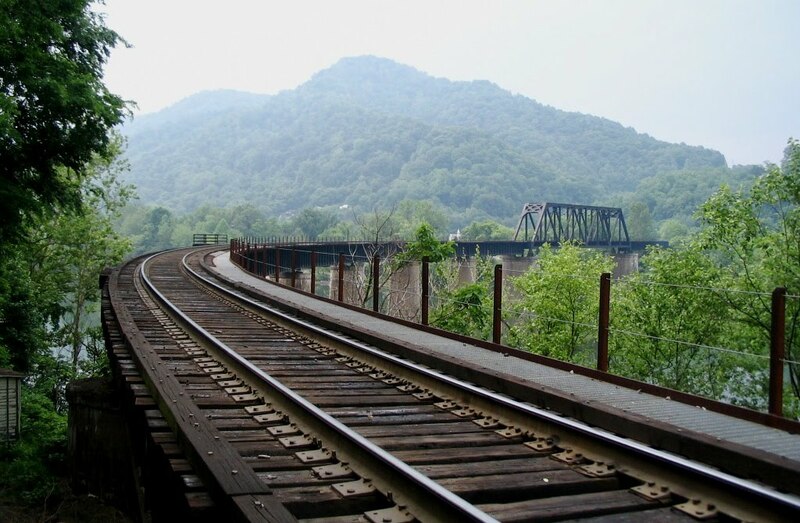 Preregistered attendees will receive directions for a self guided tour to the VGN and C&O railroad attractions around Beckley. *Also directions to the newly renovated and expanded Beckley Exhibition Mine. $3.5 million has been spent in constructing a new visitors' center, and display opportunities. Pay at the mine: $20 per person or $14 each for groups of 10 or more. 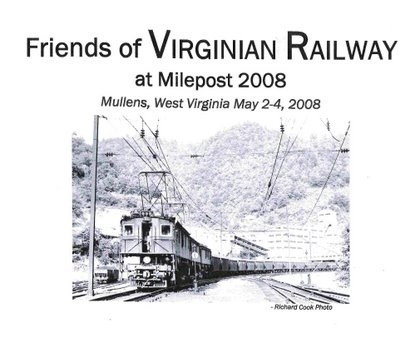 *Walking tour of historic Mullens, the restored Virginian caboose 307, Elmore Yard is nearby. Check in at Twin Falls State Park, Mullens, West Virginia. Display area will be open. Welcome and visual program on Virginian operations and equipment. Guided Tour on a charter bus (limited space - 30 people) starting at the resort and going to the NYC Dickinson Yard, which was shared with the Virginian. Next we will see Deepwater, and more joint VGN - NYC and VGN - C&O locations. The day will take us to mines, coal loaders, company stores, mining communities and much more as we work our way along the VGN back to Mullens. You won't be disappointed! visit on the Saturday tour! Program on the Virginian New River Division Yesterday and Today. Car Caravan to Princeton with stops and handouts for important locations and a special opening of the Railroad Museum in Princeton. Pay at the museum, $5 per person. This special run tee shirt will be available for this convention only. Orders must be placed by April 10. Cost: $15 for all sizes through XL; $17 for sizes XXL, XXXL. Pay and pickup at the convention. DO NOT SEND MONEY WITH REGISTRATION! Top: Standing beside milepost 435 with the New York Central connection behind and looking across the Kanawha River to the C&O connection and Sewalls Point, Norfolk 435 miles away. - Aubrey Wiley Photo 2007. Above: VGN passenger train #3 exits a tunnel north of Mullens, WV. Original artwork by Bill "Sarge" Mc Ghee, Mullens, WV. More of Sarge's work will be on display during the convention. Registrations are needed by April 17. All programs Friday and Saturday nights. 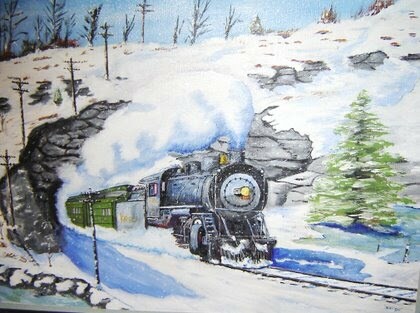 $----Donation to the Roanoke Station Restoration Project. ___ I plan to bring pictures #_____for the contest or display. ___ I plan to bring #_____VGN Ry. artifacts for display. Make your check payable to "Roanoke Chapter NRHS"